Anything important and lasting is grounded in courage overcoming fear, reaching rather than retreating. 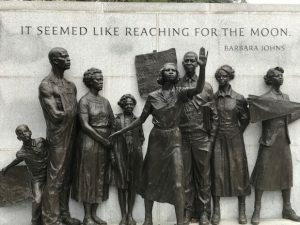 A short walk in Richmond, Virginia yesterday brought me to a monument honoring a 16- year-old young woman protesting the status quo, not accepting the unacceptable. Never settling. 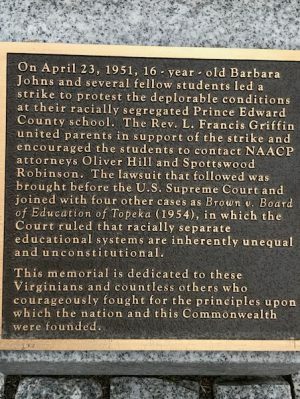 Barbara Johns’ protest led to the 1954 Brown v. Board of Education US Supreme Court case. Reaching for the moon transformed to touching the moon. Never accept anything as inevitable. Reach.